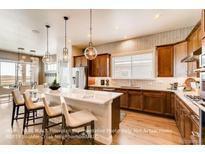 Below you can view all the homes for sale in the Berthoud Estates subdivision located in Berthoud Colorado. Listings in Berthoud Estates are updated daily from data we receive from the Denver multiple listing service. To learn more about any of these homes or to receive custom notifications when a new property is listed for sale in Berthoud Estates, give us a call at 720-580-6921. Professionally Landscaped and property produces approx 350 bales of hay/yr. Priced below Feb 2019 appraisal! MLS#9466176. Colorado HomeFinder LLC. Optional membership to pool & Workout Center MLS#6250547. Coldwell Banker- LoveLand. Home is Under Construction. Move In Fall 2019. MLS#1761924. WK Real Estate. Master bedroom has vaulted ceilings, luxury bath with granite counters and walk in closet.Full finished basement with large rec room, 2 bedrooms and storage area! Move right in MLS#1540464. RE/MAX Infinity. Home is not in North Metro Tax District. MLS#9720708. RE/MAX ALLIANCE. In the event an offer is accepted, the auction will be cancelled. MLS#3295369. HAYDEN OUTDOORS LLC. Enjoy views in your Backyard with garden beds, fruit trees and manicured landscaping! MLS#8764734. RE/MAX Infinity. CALL FOR YOUR PERSONAL APPOINTMENT Christine 720-320-1405 MLS#3512623. Coldwell Banker Residential 30. Pro landscaped w/ 25+ trees drip irrigation. MLS#4214452. Coldwell Banker Residential 30. Finished, bright basement w/ tall ceilings, 2 bedrooms, full bath, enormous rec area & extra windows to add more bedrooms if desired. BRUNCH OPENHOUSE SUN 10-12 MLS#7716643. Neuhaus Real Estate, Inc.. The owner's suite is towards the back of the home and has a luxurious bath attached along with a spacious walk-in-closet. MLS#2032194. The Group Inc - Harmony. For more information check out their site heritageridgemd.com MLS#1776861. Insight Realty. Enjoy the 3 Car Garage & Full, bright walk-out basement w/ rough-ins. MLS#2304014. Marvin Gardens Real Estate. Get ready to buy your next home by scheduling a showing to see it for yourself! Sold as-is. MLS#6906639. Keller Williams 1st Realty. Home is Under Construction. Move In Spring 2019. MLS#4952139. WK Real Estate. Buyer to verify measurements and schools. MLS#9661376. Keller Williams Realty Partners, LLC.